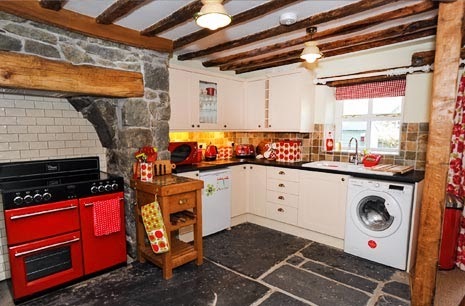 I have a lovely Wales cottage to show you today. But first I want to share something I'm very excited about. 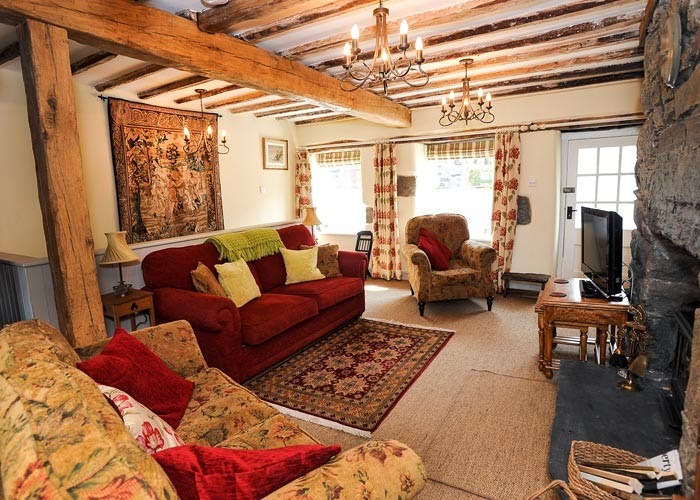 Starting January 1, 2014 A Joyful Cottage will be the home of the monthly party "Every Room in the House". Every month -- January through December -- will have its own theme room. 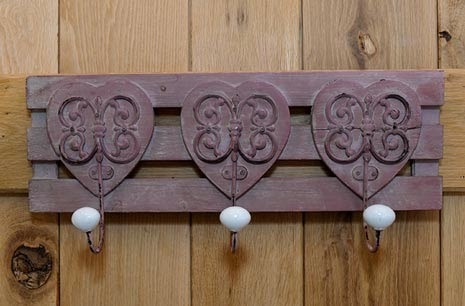 All month long you'll be invited to link up posts from your blog that focus on that particular room in your home. For example, January's theme will be the Kitchen, and any post that has to do with your kitchen can be linked up. It can be anything from a set of mugs you found at your favorite thrift store to a total kitchen remodel. . Whatever you want to show us from that room. This party promises to be a lot of fun, with only a few guidelines to keep things orderly. I hope you'll plan to join me January 1 for the Every Room in the House party. Okay, now that we've got that out of the way, let's get our cottage tour started. 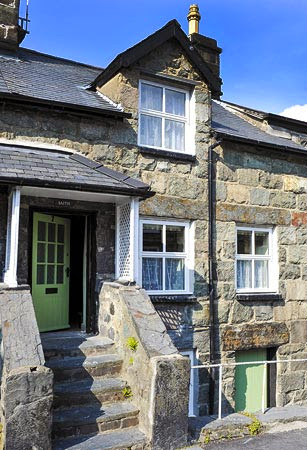 Welcome to Number Seven, a lovely stone cottage in Dolgellau, Wales. 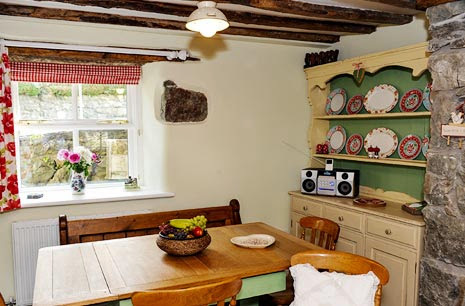 This cottage may be small in space, but it's large in charm. Cozy and comfy. I think you're going to like it as much as I do. The sitting room centers around a wood burner with stone hearth. Gorgeous exposed beams, twin chandeliers, and a warm color scheme create a welcoming atmosphere. 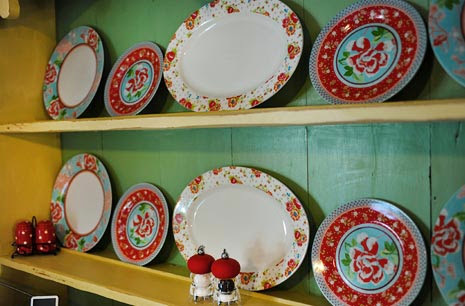 The dining area features an antique bench and a charming painted cupboard filled with delightful china. The table base is painted the same green color as the cupboard's back. Window coverings are a charming mix of red & white checked shades and floral curtains. The cheerful kitchen possesses old world charm. A red cooker sits in what was probably the hearth at one time. A slate floor holds to traditional cottage appeal. This is a very pretty bedroom. 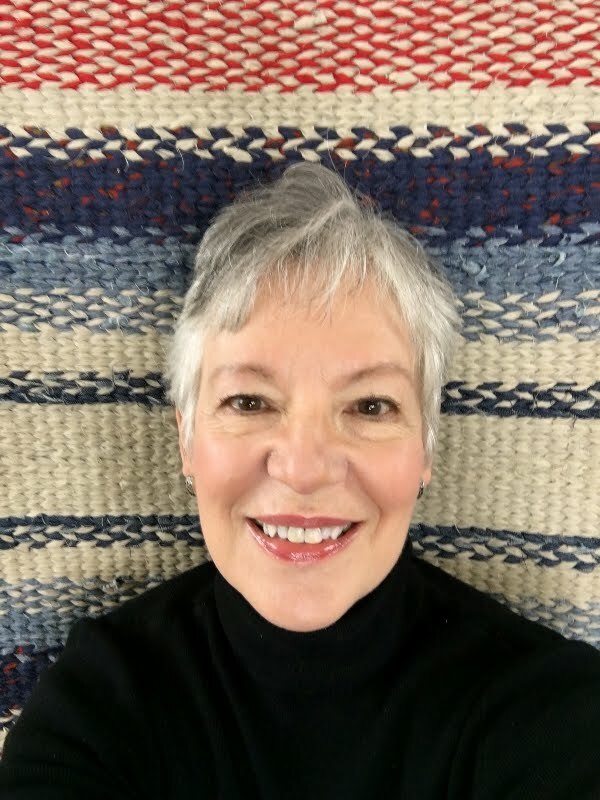 Here's a perfect example of successfully mixing fabric patterns in the same color family. Creamy white furniture completes the cottage charm. 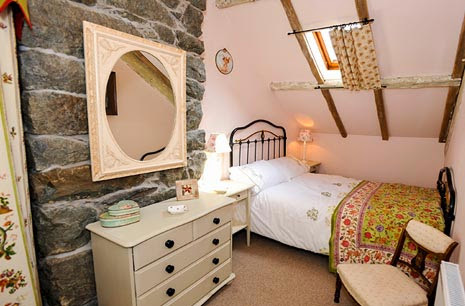 The second bedroom features more stone and a skylight with a sweet little curtain held by two rods. 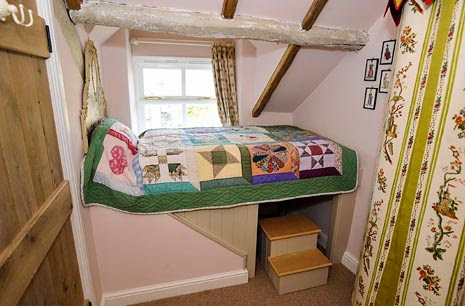 I'm crazy about this cute little step up bed with the colorful quilt. 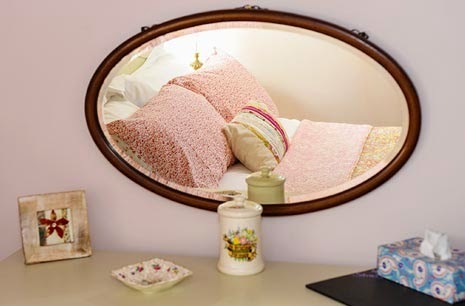 Great for curling up with a good book. 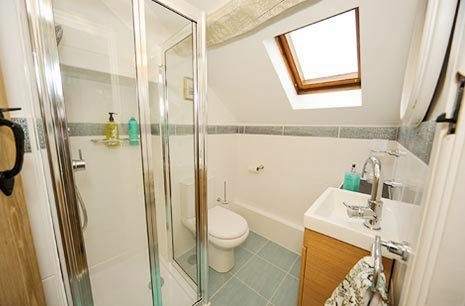 The modern bathroom is simple in design. A whitewashed ceiling beam and stone tile trim give the room architectural interest, while the skylight washes it with light. A rustic door gives a nod to the past. 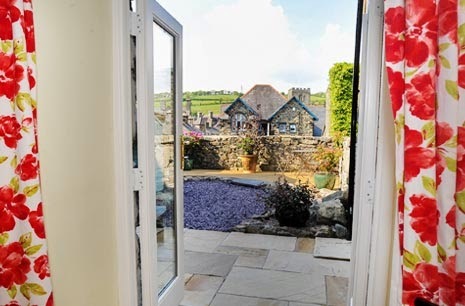 Back downstairs French doors, leading to a terrace, give a view to the village. 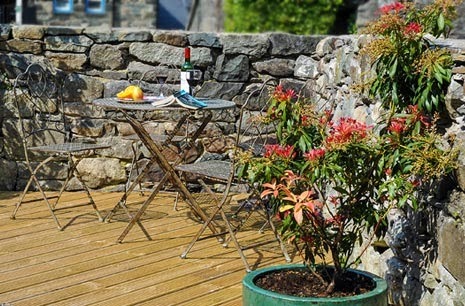 A quaint stone wall surrounds the terrace. Privacy and beauty combined. 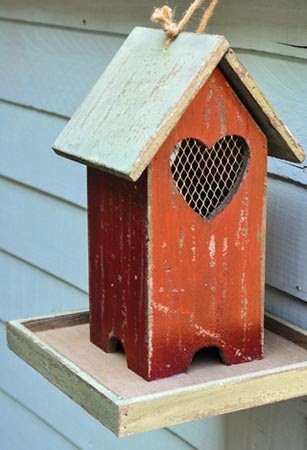 I hope you enjoyed our look at this little cottage, and found inspiration here. 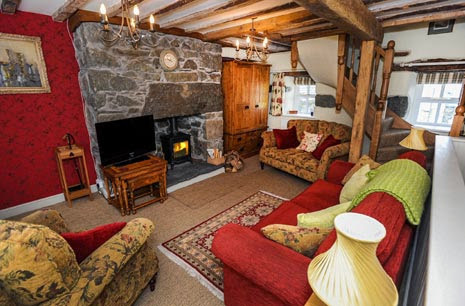 A special thank you to Caroline at Blaentrothy Cottages for allowing me the privilege of sharing it with you. 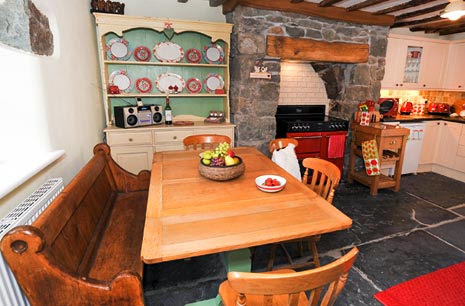 You can see more of this cottage and others at their website: http://www.cottage-holiday-wales.co.uk/. 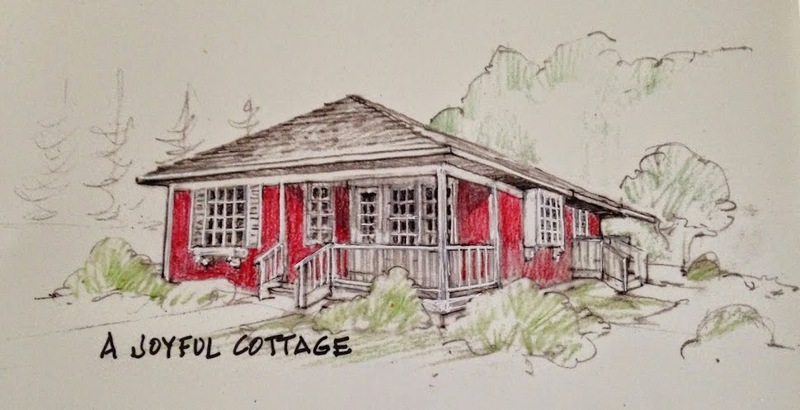 I hope you enjoyed our look at this little cottage as much as I did. Simply adorable. I could live there. Me too, Debby. It's so cozy. Kim, I'm with you on the red. I'd take that red cooker in a heartbeat. I don't think I've seen a post on your living room, have I? It sounds wonderful. Glad you'll be joining the party. You'll have great things to link up, I know. We'll have fun! Beds tucked away like that are so cute, aren't they? Glad you liked the cottage, Jeanne. Have a great week! Love the cottage . . . The red and white in the kitchen . . . liked the plates . 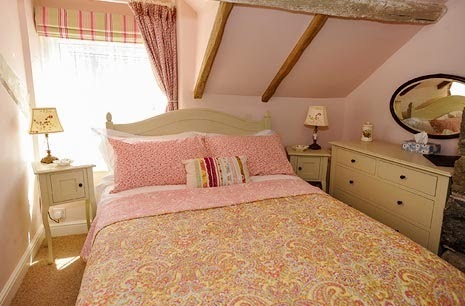 . . and then the pink contrasts in the bedroom . . . so charming. I look forward to the January link up. Thanks, Lynne. It will be great to have you join in the fun. Happy December, my friend. What a place....feels like home. I love so much about it that I can't begin to name it all.